Kitchen Snaps: Empanada Dough from Scratch ~ from a self-proclaimed cheater! Empanada Dough from Scratch ~ from a self-proclaimed cheater! When it comes to making recipes that require a homemade dough from scratch (like pizzas, pies and dumplings)...I'm generally...a cheater! glistening, flaky crust you get from the authentic Latin American restaurants. its taste and texture .........SOLD ME! Stuff this Empanada dough with anything! Savory, sweet, fruity, meaty, beany or cheesy...it will ALL work ...and for that...it's a keeper!!! If you missed the link above ~ Click here for the DELICIOUS recipe! Could a person use a refrigerated pie crust dough? If not, what other than pizza dough might work. I won't make my own dough. That's my own way of cheating. I'll only get your response if you send it to scrout1944@msn.com. Now that is empanada! saw the recipe and it does look easy. Hope I can get it to tastes as beautiful and delicious too. Those look fantastic!! 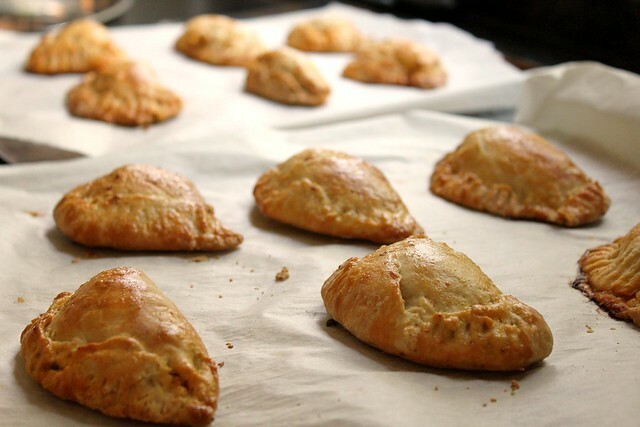 I made empanadas from scratch once and they did not look as lovely as yours! Wow, they look pretty amazing for someone who doesn't like baking!! Okay...it sounds simple enough, but I can already picture my hands covered in some overly sticky dough-like substance, on the verge of tears and reaching for the bottle of wine!! But if you say so...maybe I'll give it a try. I've got to be successful at dough one time or another, right?? 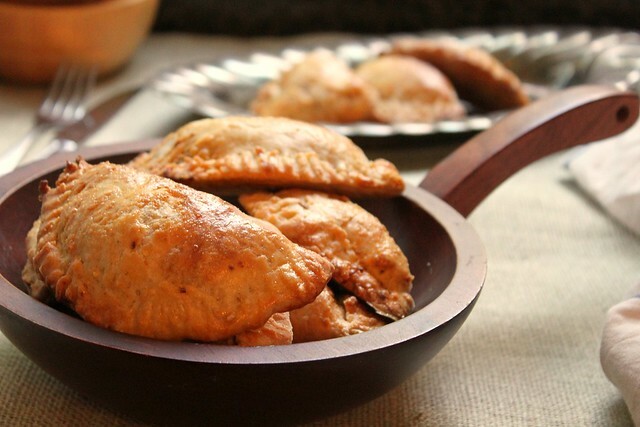 The empanadas do look amazing! 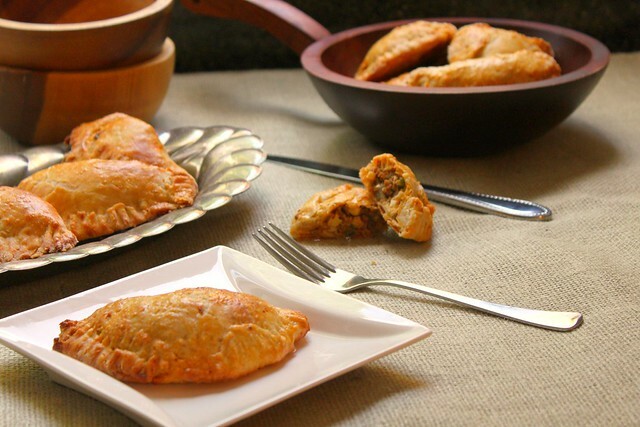 I make from scratch most of the time, but luckily I found a store that sells frozen empanadas with a great, flaky crust; I guess the cook is from Argentina. Yours look great and I am off to check out the recipe! I'm a self-proclaimed dough cheater too! Maybe i'll have to give this a shot?! Looks delicious! !